Note that some detailed directions and road numbers are given to assist anyone that might like to search the same areas, and not just to put you to sleep. I have included a list place names at the end. Slovakia has lived in the shadow of many countries in recent history and sadly our lonely planet guide still reflected this. The guide book listed accommodation that no longer existed and the vast majority of the towns we visited were not even included. On a positive note, Slovakia is a modern industrialised country, now a member of the EU and has a great road network, making it easy to travel in. We hired a car for the two weeks that we were there and I would definitely recommend this. 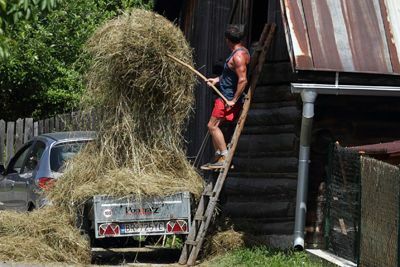 Large parts of the country still use old style farming practices. 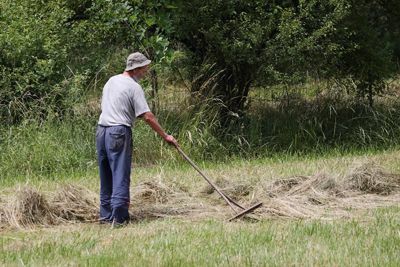 By this I mean that hay is cut by people, usually with a strimmer or a sythe, and hay stacks are made by hand. 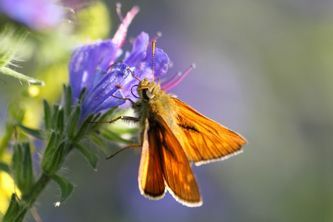 Consequently, there are plenty of beautiful meadows that support a myriad of insects and plenty of bird life. Ground breeding birds have ample breeding habitat and if I was a better birdwatcher, I’m sure I would have identified many more birds. 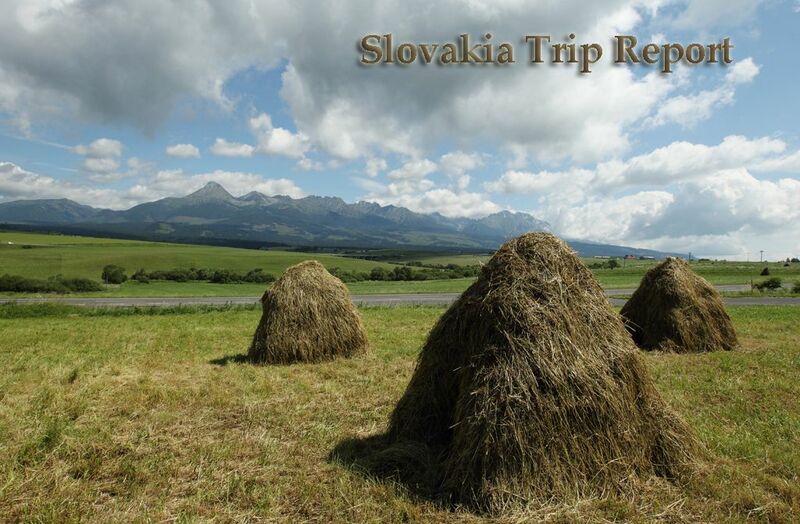 Traditional farming practices in Slovakia - A bounty for the wildlife. This is a summary of our itinerary and some of the birds, mammals and insects we encountered....It is not meant to be a travel guide, but more a route guide telling what we saw where. From Bratislava we headed for Trnava, figuring it would be easier to get set up here rather than negotiate the traffic of Bratislava on my first day. 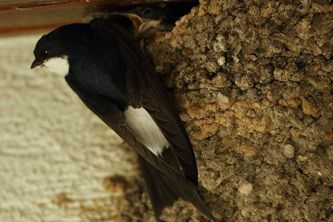 A lovely small city with old churches, a wonderful cathedral and lots of old streets home to plenty of House Martins. We also realized that very few people spoke English so we bought a dictionary. From Trnava we drove on the 65 to Zvolen and on to Banská Štiavnica. There were quiet a birds of prey visible from the road that I couldn’t identify. We approached Banská Štiavnica from a minor road that passed through Hodruša Hámre (because we were trying to locate a nature reserve that we thought was here). Instead stopped to photograph the calvary/castle. This was probably the last place you could get a view of the calvary from a height. A lane on the right encircled a field where we saw a golden oriole (the only one we saw in Slovakia), a sparrowhawk, lots of butterflies/moths and a hummingbird-hawk-moth. 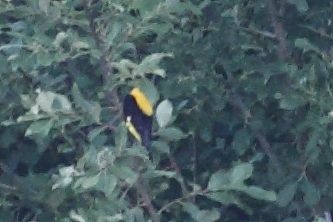 Golden Oriole for the record! The old part of Banská Štiavnica was a lovely, and a pizza and two beers cost just 8 Euro. The following day we took a walk to the old town (called ‘To the glistening hill of Glanzerberg’ in the local guide book). At the top a fantastic meadow with lots of butterflies and moths including this pair of Western Marbled White Butterflies martin. We also saw a common viviparous lizard on the path . Next we headed to Čierny Balog, a small old logging town. 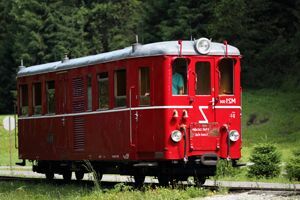 Emma, my wife, had done a 2-week voluntary work camp here 15 yrs ago, to help restore the narrow gauge railway. Today the railway is a busy tourist attraction. After taking a trip on the railway we went for a walk in the woods beside the large car park where we saw black redstarts, a grey headed woodpecker (almost sure), Jay and a lizard. Headed to Poprad and on to Slovenský Raj (Slovak Paradise) national park. We drove to the small town of Spisska Nova Ves and parked at Cingov car park. 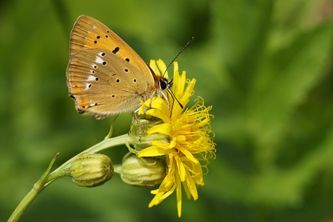 There are lots of great walks that leave from here and the fields around the car park had many butterflies and moths, including Dark Green Fritillary, Heath Fritillary, Adscita alpina Moth, Large Copper Butterfly, 6-Spot-Burnet. 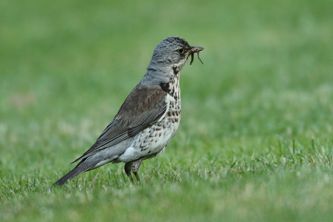 In the surrounding woods, mistle thrushes, black redstarts and woodpeckers could be found. We headed for the campsite at Levoca, a lovely old town, well worth a walk around. The campsite provided as many bird watching opportunities as anywhere else; mistle thrushes gorging on cherries, spotted flycatchers, great spotted woodpecker, black redstart, nuthatch, fieldfares and siskin. We used the campsite in Levoca as a base over next few days and that worked out great. 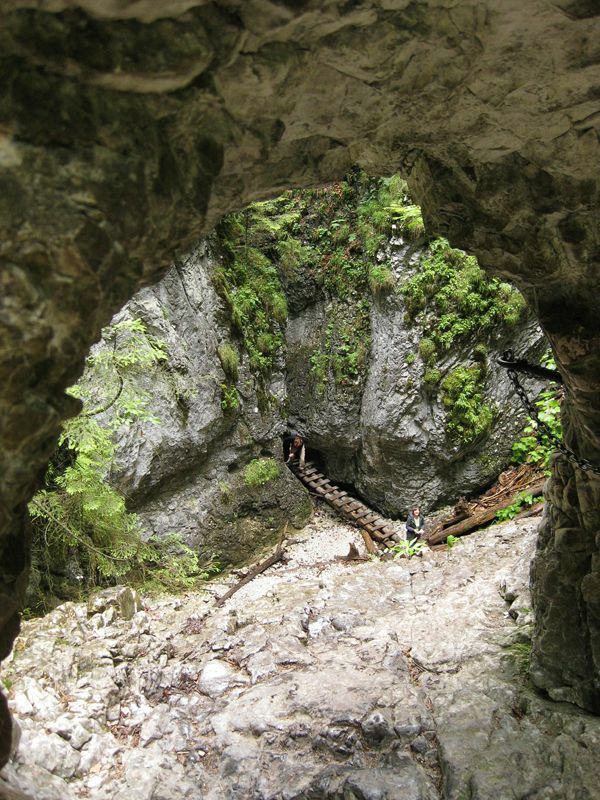 The following day we headed to Suchá Belá, walk that rises to 1000m following waterfalls cascades. Much of the assent is on walk ladders that are positioned beside the river. On the way to Suchá Belá, we passed through Spissky Sturtok and stopped in a small town called Hrabušice. This is where the stork was nesting, (presumably nests there every year) opposite the small shop in the grounds of the pub. Suchá Belá - Why did I bring a 500mmF4? From Poprad we drove to Tatranské Lomnica, a ski village. Parking in the town centre was €3 Euro/ hour, but free parking is available it you look for it. We took the cable car to Skalnate Pleso. Then walked down the red route, (blue to) and yellow routes to Tatranská Lesná. As you can imagine, there were big views from the top and the altitude meant it was very cool. The 1500m decent was on rough ground and was very hard on the legs. 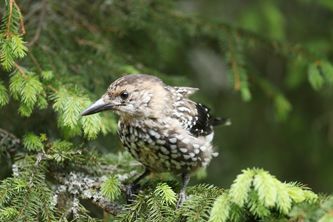 After walking through scrub for an hour we entered forest where I saw a spotted nutcracker briefly. The descent then followed a river with many waterfalls. We stopped at the hut at Maly Skryty where a pair of semi-tame spotted nutcrackers landed close by allowing me to get some nice shots. There were plenty of grey wagtails along the river. We came across this amazing blue slug. Also caught a glimpse of a pair of woodpeckers here but wasn’t able to identify them. Our walk terminated at Tatranská Lesná where we stopped for a beer to revitalise. While waiting at the train station we saw a red squirrel and a Red-backed Shrike. We stayed at a campsite just outside Tatranské Matliare where there were lots of fieldfares, and a corncrake in a field opposite the campsite. The following day we headed for Pleso lake and then on to Liptovský Mikuláš. From here we drove around Liptovská Mara (lake) stopping at several places to look for birds. It was very windy and I only saw a few distant gulls and a common tern. From here we headed to the Malá Fatra national park where we would spend the next 6 days. We had hired a guide before we left Ireland, to help us find Brown Bears. Over the next few days we spent long hours from early morning to late nights trying to spot bears. 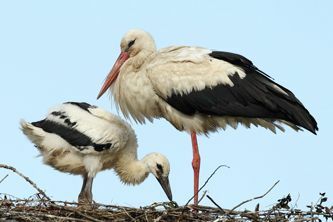 We organized this through “The Slovak Wildlife Society“ (SlovakWildlife.org). We saw bears on two of our four bear watching sessions. The total time they were present was about 30 minutes over three days. I give these figures to highlight that this is very different to bear watching in other countries. In Alaska, you can go to the bears food source, Salmon, and watch the bears for hours. In other European countries road kill is left out at hides. Here is was a much more subdued experience, but very special none the less. The bears eat mostly berries and insects and are better described as shy forest dwellers. Our first clue of their approach was the sound of bark being ripped from a tree followed scratching noises as the bears searched for insects. The bears were aware of our presence and seemed very nervous and so I used “quiet mode” to take pictures (no burst modes) or the bears would have fled. While watching the bears, we also saw wild boar and deer. 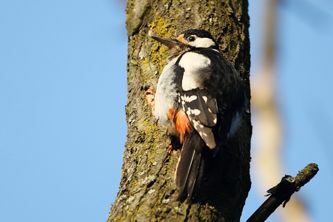 In the woods in the area we also saw Syrian woodpecker and a pair of Red-backed Shrikes. On the third day of bear watching, the weather broke for the worse and rain and mist literally put a dampener on walking and photography opportunities were limited. The following morning, we went to a tourist office to buy a walking map where the woman in the office refused to believe that we were bear watching in the area! Unable to do our peak walk due to rain, we drove to Čičmany. The old wooden houses have been painted with white patterns that reminded me of knitwear. 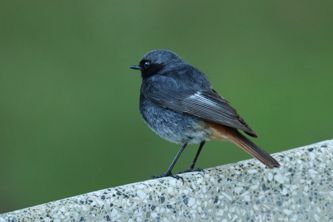 On the outskirts of the town we heard more corncrakes and there were many black redstarts and grey wagtails about. After a trip to the museum in Martin, due to the persistent rain, we spent half the day in a police station after our car was damaged in a break in attempt. Unhappy with leaving the camera equipment in the car, we headed back to the mountains and found a really nice pension in Terchová, at only €12 per night. Simply amazing, available in large print formats! 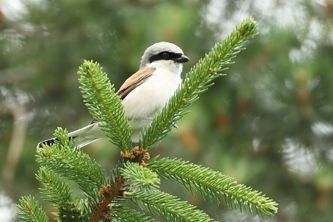 While leaving Terchová on the Tiesnavy road, we saw another Red-backed Shrike, in the gardens of some houses. There was enough of a break in the rain for us to do another walk, from the hotel Diery. 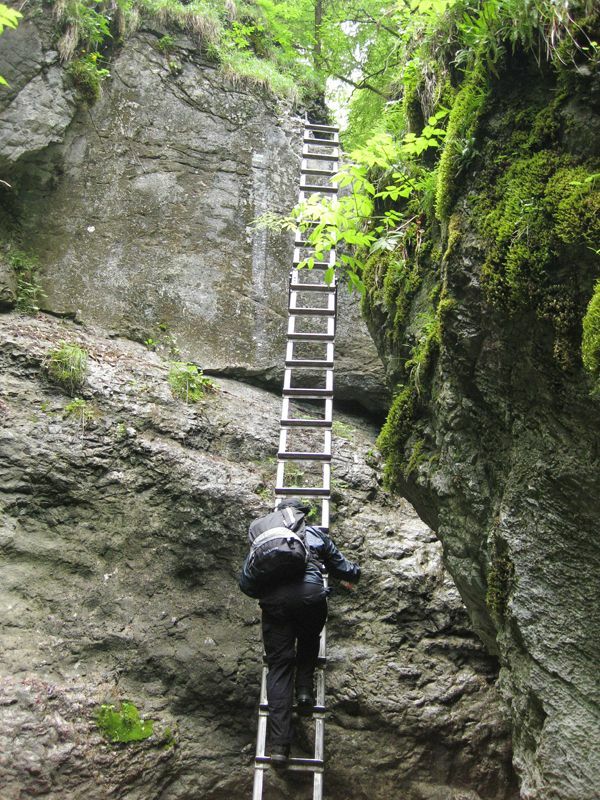 This was another “adrenalin walk” climbing ladders alone side waterfalls, very beautiful, but not if you don’t like heights. 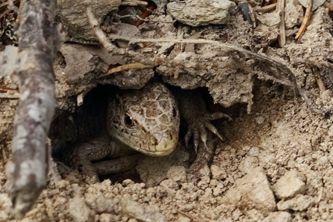 There was a hut at Podzia, where heard more corncrakes, but I was disappointed that I couldn’t find any salamanders in the leaf litter during the walk. Our two weeks coming to a close, we had to head back to Bratislava but there was one more surprise in store. About 20km before Bratislava on the D1, we took a turn off at Senec and headed up the 503 looking for a place to have lunch. A tiny road to the left brought up between some orchards, with plum and damsons lining the roads. 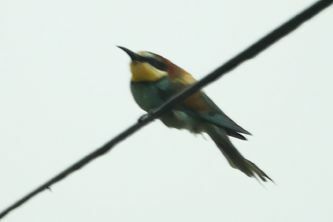 I stopped to look at a bird of prey that was scanning one of the fields beside us, when two bee-eaters landed on the power lines overhead. Although the weather was too poor for photography, it was amazing to see such a bird. Bratislava, Trnava, Zvolen, Banská Štiavnica, Hodruša Hámre, Banská Štiavnica, Cierny Balog, Poprad, Slovensk� Raj, Spisska Nova Ves, Cingov, Levoca, Such� Bel�, Spissky Sturtok, Hrabušice, Poprad, Tatranské Lomnica, Skalnate Pleso, Tatransk� Lesn�, Maly Skryty, Tatransk� Matliare, Pleso lake, Liptovský Mikuláš, Liptovsk� Mara, Mal� Fatra, Cicmany, Martin, Terchová, Senec, Bratislava.